I took my first class with Rebecca Tait a little over 10 years ago. Growing up, I wanted to try my hand at everything from horseback riding to ballet to piano lessons. My mother likes to say that out of all of the activities I participated in, I only ever continuously asker her for more art classes with Rebecca. I can remember being utterly in awe of the space she’d created for her students to learn and grow. As a quiet kid, I was never afraid to ask a question or participate in critiques. She expected a lot even from her youngest students, but there was always room for fun. She believed in us, and encouraged our love for making beautiful things. In Rebecca’s classes, the work that her students create is something that they can completely call their own. I think this is such a unique and important quality about Rebecca’s teaching philosophy. She never places even the smallest pencil line on her students’ work. Demonstrations are done on separate canvases or pieces of paper and the techniques are practiced and applied by the student’s hand alone. Rebecca has nurtured my dedication to art from a young age, and in turn, I saw myself grow in dedication towards other things in my life. I am now an employed artist working in New York City doing window displays for Anthropologie. I keep in touch with Rebecca and she remains one of my most influential mentors to this day. I owe so much to this woman and her incredible lust for life, selfless care towards humans and animals, commitment to art and apparent love for teaching. 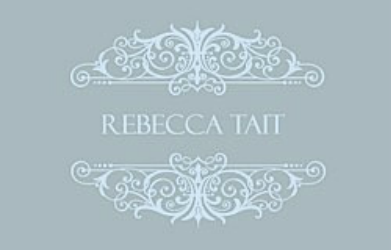 Twenty years ago at the age of twelve I became a student of Rebecca Tait. The cliché’ “my life would never be the same”, would be a fierce understatement. I studied classical realism under Rebecca until I was 18 when I left for college. After graduation I continued to study under Rebecca attending classes and special workshops. The education I received from Rebecca is unparalleled to any other academic/studio experienceI have yet recieved. As I am not alone in my enthusiasms, I have met several life long friends who are also professionals in the arts and continue to attend classes and workshops of Rebecca’s when schedules allow. We all agree that we employ the skills and influences we have learn from Rebecca everyday of our lives. I also see the same thing in students of different generations. Rebecca has become a mentor, a mother, a sister and above all a true friend. Occasionally inspired to paint still lives and landscape her true unyielding passion is to capture the human spirit in her figurative and portraits. Her work not only captures likeness but picks up the subtiles of personality and attitudes. Rebecca strives to capture the true essence of her subjects. They begin to breathe and you begin to hear their stories. After retiring from my career this year, I wanted to take my casual study of drawing and painting to another level. I discovered Rebecca Tait’s Studio at Glen Gables, in Laurel Springs, NJ, through word-of-mouth from several of her students. They glowed with praise and admiration for Rebecca’s skill as an artist and inspiration as a teacher. Her studio is in her lovely home abounding with family, friends, dogs, cats and sprawling grounds awash in flora and fauna--an environment ideal for learning and creating. In Rebecca’s weekly classes, students engage in a mutually agreed upon project tailored to their skill level. One-on-one instruction has allowed me to progress at my own pace and her systematic techniques have expanded my understanding of the basics of drawing, painting, and the use of artists’ materials. In addition to her weekly class, I also attended two summer workshops, Portrait in Graphite and Intensive Oil Painting. These workshops were comprehensive learning experiences that included lectures, demonstrations, materials, and plenty of individual attention. The classes have been challenging, humbling, inspiring and truly gratifying. Rebecca is an award-winning artist who freely shares insights and priceless anecdotes about her life and her career as a working artist. She is also an animal activist and tireless animal rescuer with endless compassion and love for all living beings. I feel so fortunate to have found this exceptional instructor.